Halloween is a big deal in my house given a house full of girls who love to dress up. The trick or treat aspect is the bonus as what kid doesn't love getting candy and other treats? I haven't decided what is the bigger thrill: the costumes or the treats. When Halloween starts approaching, we spend time picking out the perfect costumes and what treats we will hand out and which treats we'll eat. 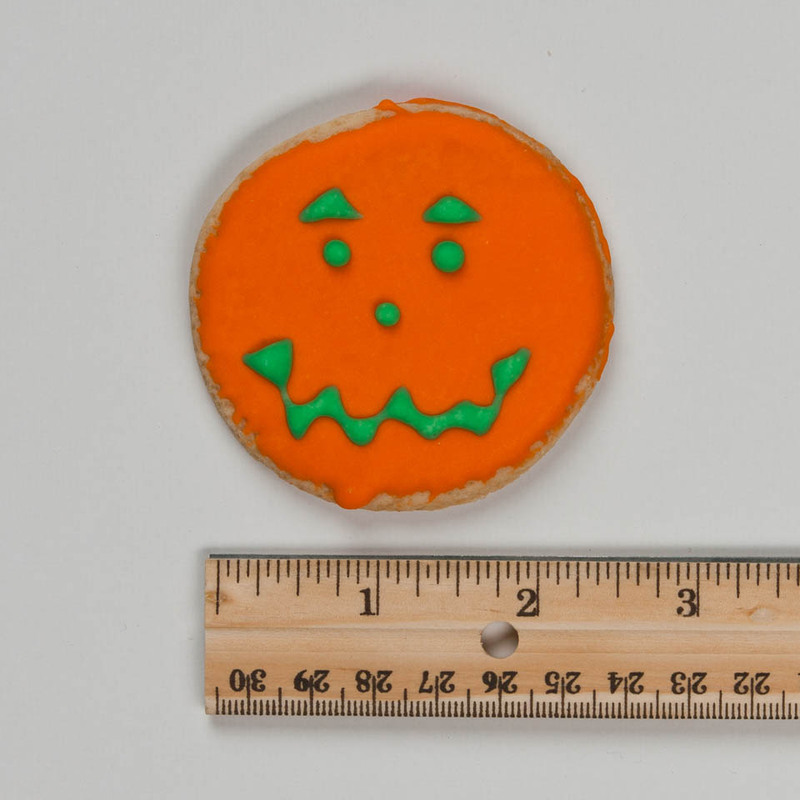 We love Halloween in that all the theme inspired treats come out like cookies and we are big cookie fans! Smiley Cookie is no stranger to catering to us cookie lovers and has these cute Halloween cookies that we were able to sample. Smiley Cookies are baked fresh with pure ingredients making it the perfect choice for Halloween treats for yourself, parties or trick or treaters since they can also be ordered individually wrapped. They are nut free so no worries for those with food allergies and they are kosher while packing in under 100 calories per cookie! They are 2.5 inches round making it a great snack. The cookies arrived in the mail intact. None of them were crumbly or partial. They were fresh and tasted great. My soon to be son-in-law loved them the most so I'm letting him take a few back on his plane trip home. The faces are whimsical enough to not scare little ones and the icing was not overpowering. It was a perfect combination! If you are like me, you might even have a friend or family member with a birthday on Halloween or near Halloween which makes these spooky tasty cookies a great idea for Halloween gifts. You can also save 10% with code BLOG10 at checkout. Check out Smiley Cookies Facebook page to stay up to date on the latest.